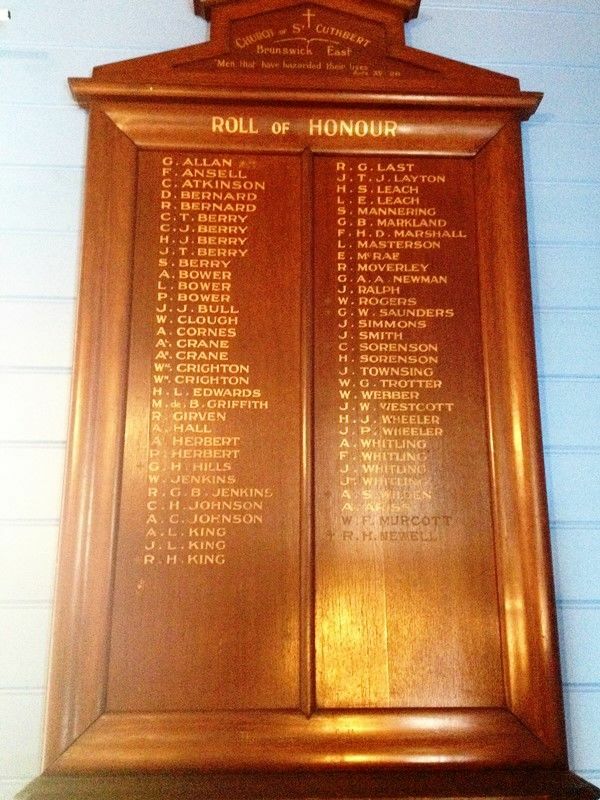 A wooden honour roll commemorates those from the Church of St. Cuthbert in Brunswick East who served in World War One. Note : This honour roll is in a private residence and is not available for public viewing. "Men that have hazarded their lives"